Crayola Classic Color Pack Crayons, 24-Count and Colors Only $0.50! Plus, FREE Pick Up! 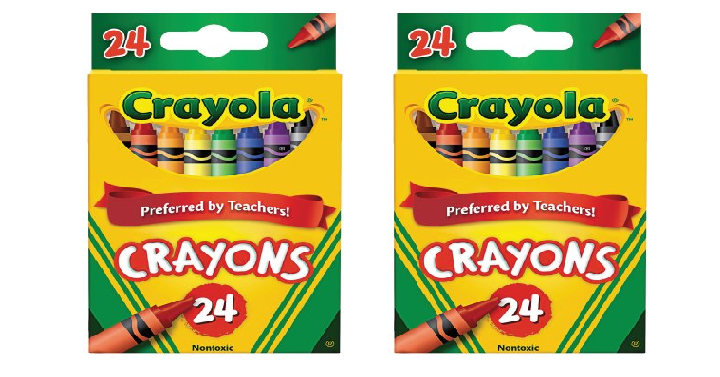 Walmart has the Crayola Classic Color Pack Crayons, 24-Count and Colors priced at only $0.50! (Reg. $1.37) Plus, you can choose FREE Pick Up! This is a great stock up price for the 24 pack and a great one to grab for back to school. Or, grab them now for easy birthday favors or fun craft days.